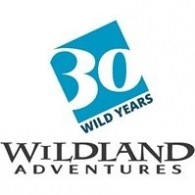 All Wildland Adventures tours, river cruises, expedition cruises, and adventure trips. Find the best guided trips and expert planned vacation and holiday packages. Average rating of 5.0 for all Wildland Adventures trips. Transfer by boat to the mainland and transfer to the airport for your international departure flight. Hiking and kayaking in Tierra del Fuego National Park. The afternoon strolls and welcome dinner. Guided walking tour of Istanbul historic Sultanahmet district. Fly to Kayseri -drive to Cappadocia.Visit Uchisar Castle and Goreme Open-Air Museum. Whirling dervishes in the evening. Hike in Cappadocia. Explore small towns and villages. Practice spinning pots with a master potter. Underground city and Caravanserai visit. Drive to Konya to see Mevlana Museum. Drive to Ubuntu village. Hike to Golden Grotto Caves and spend time in the village. Travel to Kaş stopping in Demre for St. Nicholas. Free day in Kaş. Option to kayak, hike or enjoy relaxed family time at beach. Visit Turtle Beach and explore the ruins of Caunos by boat and on foot. Drive to Selcuk and Ephesus via ancient sites of Priene, Didyma. Explore Şirince village. Visit Ephesus, Temple of Artemis and Selcuk.Farewell dinner. Transfer to Izmir airport for flight to Istanbul. Afternoon at leisure. Transfer to airport for a flight home, or add-on extra day in Istanbul. Arrival and check in to your stateroom. Welcome dinner. Whale watching, ride the skiff near shore for bear sightings. Explore this majestic fjord by kayak or skiff, farewell dinner. Bon voyage breakfast. Transfer to the Sitka airport or begin trip extension.